Part of an entire yearly bundle! 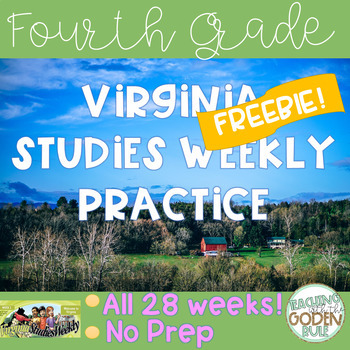 Follow-up questions to the Virginia Studies Weekly Newspapers. awesome newspapers that bring history to life for your 4th graders. I have created this bundle filled with comprehension questions for each of the 28 weekly newspapers.